Ease Your IT+Tech Experience ! Press Start+Tab and all open windows & files will show in aero theme, press Tab key to switch windows. If you have opened multiple windows or files then Left click on one of window and shake it to left & right. All other windows and files will be minimized. If you will shake again then all other windows will be back at original state. Note: Some Windows 7 versions don’t support aero affects. To check if your version supports aero desktop experiecne Go to Start > Type in search ‘effect’ and click on ‘ Find and fix problems with transparency and other visual effects’ Click Next on aero dialog box. You will see if your windows edition supports aero effects or not. 2. 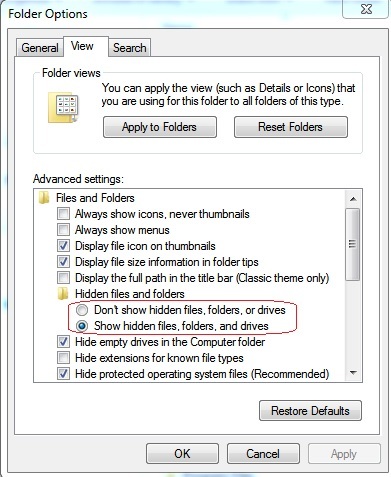 Hide or Show hidden files,folders or drivers. You can select radio button to hide or show hidden files,folders and drivers. ITechOasis.com is licensed under a Creative Commons Attribution-NonCommercial-NoDerivatives 4.0 International License.